Not so long ago, it was the norm for boards of mid-sized institutions such as foundations/endowments and non-profit health care and religious organizations to have in-house investment management including staff, possibly a chief investment officer (CIO), and a board committee in conjunction with a non-discretionary consultant run their investment programs. Today, outsourced CIOs (OCIOs) have become common at such organizations. Joining the national trend toward business outsourcing in general, particularly among organizations not large enough to have sufficient economy of scale to justify the costs of running an in-house asset-management operation, these institutions have been increasingly delegating investment operations by contracting with asset management firms offering OCIO services. The impetus for this trend began with the financial crisis of 2008-09, which revealed a lack of resilience in institutional portfolios, bringing new scrutiny to the costs and performance of in-house CIOs and non-discretionary consultants. That, coupled with the increasingly complex fiduciary obligations of boards, has prompted many small to midsize organizations to hire, or at least consider, an OCIO. In the years since the crisis, it has become increasingly clear to many boards and their investment committees that they have been paying top dollar for inferior or, at best, index-matching performance. Some in-house CIOs have suffered from group-think and have lacked the flexibility needed to address the rapidly changing investment landscape, and the costs of maintaining an in-house finance office have lowered net returns. The institutional financial industry’s move to OCIOs is accelerating. Assets managed by OCIOs increased by approximately 29% per year for the 2007-2016 timeframe. As of November 2016, OCIOs managed some $1.4 trillion, and that figure grows by the day. The challenge of selecting the right OCIO contractor is becoming more labor intensive because of the explosive growth in the number of firms offering these services. A leading executive recruiter estimates that 74 firms were competing in this space in late-2016, up from a handful several years earlier. Some of these new suitors are highly qualified, skilled firms or individuals who bring strong track records to the job to deliver optimal results. Unfortunately, many of those offering OCIO services are unqualified or underqualified, and may have conflicts of interest that make them unsuitable to serve a particular institution, if any. The gold rush to offer OCIO services has encouraged the entry into the field of asset managers and advisors of various stripes with disparate backgrounds that are, in some cases, incongruous with the demands of OCIO duties. These firms — some of them qualified and suitable for the OCIO mission, some not — run the gamut of the financial services industry, from large wirehouses, index-maintenance firms and multi-office national consultancies (some of which historically have not been known for asset management rigors) to various RIAs and one-person shops made up of CIOs displaced by this very trend. As in any competitive specialty in the financial service industry, much of the intense marketing of OCIO services in recent years has involved selling a concept buttressed by claims of differentiation that carry varying degrees of accuracy. Yet as fiduciaries, boards must take care to verify the reality of what they are buying —knowing what questions to ask and what information to demand regarding best-practices adherence and performance data. To do this, they need to become familiar with the marketing-versusreality practices in this emerging sector. This can be a Herculean challenge for board members and staff already heavily burdened by the operational and policy duties of running their organizations. Moreover, even for those who can find the time, the universe of OCIO providers is so large, varied and expanding that the task becomes all the more daunting. To make such engagements meaningful and productive, institutional boards must recognize the imperative for oversight of future or existing OCIOs. Typically, institutions are far more focused on simplifying the investment process than on finding a proper steward to oversee their total investment management program. Many boards need consultants who can act as a trusted advisor in their search for an OCIO, and, on an ongoing basis, to represent their interests in all facets of investment management execution, including negotiating fees and acting steadfastly as their voice at the table in all aspects involving service providers. Bringing on an OCIO can carry myriad benefits for boards. This move can mean a shift to improved and more varied investment management expertise, bringing significant increases in short- and long-term net returns to fund programs and liabilities while fortifying risk management. By hiring the right OCIO and providing the right kind of oversight, boards can derive these benefits to reach their investment goals while reducing fees and expenses. Moreover, a successful OCIO program can free boards and investment committees from the headaches associated with managing in-house investment offices — HR issues, expanding budgets, day-to-day management (as opposed to oversight) — giving them more time to deal with the policy matters that represent the raison d’être of the institution. Hence, for some boards, a well-crafted, well-overseen, well-monitored OCIO program can redirect an investment management program to the purpose for which it was originally conceived: a means to an end rather than an end in itself. However, setting up an effective OCIO program that’s aligned with the organization’s goals and finding the right contractor are complex undertakings. These tasks require specialized knowledge and expertise, including a true understanding of client needs and mission, a familiarity with the viable structural models, performance assessment skills to assure accountability and an understanding of the range of professionals seeking OCIO business and their limitations. Fit with the organization. Even if the qualifications of the candidate are impeccable, finding the right fit is paramount. In most cases, midsize institutions and organizations ($50 million to $1 billion in investable assets) should select for consideration candidate firms of proportionate size to their own. Firms that are too small might lack the necessary experience and breadth of expertise the organization requires. On the other hand, if a board of a midsize organization engages a financial services giant, it could be relegated to second-fiddle status — or even 32nd-fiddle status. Though some board members may view a large OCIO firm as being desirable from a brand-name point of view, this can be problematic for smaller organizations. Large vendors tend to assign smaller clients to the ministrations of junior staffers rather than the firm’s more experienced professionals. Moreover, large firms typically have substantial turnover in the junior ranks, sometimes creating a lack of continuity for clients who need ready access to advisors intimately familiar with their needs on an ongoing basis. Large firms, even those that purport to be “independent,” often have a built-in bias toward placing managed money in proprietary products (internal funds), the pursuit of undisclosed soft-dollar payments and a susceptibility to the influence of other business lines of the company or parent company when making investment allocation decisions, to name a few. Such scenarios may call into question an OCIO’s objectivity as an appropriate and faithful steward of client assets. Further, there is the problem of asymmetric information. Asset management moves undertaken by the big investment houses to serve their equally large institutional clients can work to the detriment of the portfolios of small and midsize institutions. Customization is a concern as well. Board investment committees often hear a lot about customized solutions from big asset managers, but may actually receive a one-size-fits-all solution, albeit with a bit of tweaking and rewriting of boilerplate.Keep in mind that discretion comes in many flavors, so it’s important for boards to determine exactly what they are getting from an OCIO, large or small, and how well the OCIO’s experience and services fit with the organization’s needs and expectations. Flexibility of providers. As when entering into any business relationship, engineering contingencies for an exit strategy is essential. An OCIO’s proposed allocation to illiquid investments deserves much scrutiny from the board. From the outset, boards should be vigilant to identify and avoid candidates who might bring about a scenario in which their organization could be blocked from ready access to assets—and thus be reluctant or unable to fire a possibly under-performing OCIO. To be proactive in this regard, boards should be sure to ask about the use of illiquid investments in any proposed program. OCIO firms often claim that they use illiquid investments to boost performance, of course. Yet the real motivation for this may be to lock in long-term revenue streams or make them opaque, given that some illiquid assets are notoriously difficult to value, especially in the absence of recent arms-length transactions. By corollary, organizations should be watchful for contract clauses that affect illiquid assets upon an OCIO’s termination. Proof of performance. Each candidate must present specific evidence of a clear value-add for the hiring organization, along with proof of a successful track record. This would likely include detailed insights regarding appropriate manager-selection criteria, a proposed custom basis for tactical asset allocation, and information on any associated services the firms may offer. Boards often encounter roadblocks in attempting to assess performance records of OCIO candidates. All too often, when boards ask for this data, OCIO candidates might say it isn’t available or that it would be meaningless because all of their investment management is “custom” based on each client’s investment policy statement. There is a common refrain that every client is unique, so the summary data they might provide could not possibly be pertinent or applicable. They might say there is no point in presenting performance results, citing the lack of uniformity in client risk profiles as a key reason. Yet this data can be segregated by client type and/or provided as a universe. Ask candidates to show the percentage of their clients that beat their custom benchmarks, over 1, 3, 5 and 10 years. Be sure to compare net, not gross, returns. Make sure performance is actual, not backtested or simulated. Beware of cherry picking. Is the data from all of or most of the candidate’s clients, not just from a select few? If there are no laggards in the group presented, this may be a red flag for low credibility. Ask for historical average returns by institution size, asset class and type of organization or institution. Determine whether results have been audited by an independent performance verification firm. Each candidate firm should be required to proffer a fully defensible investment management thesis showing their services have added value regarding strategic/tactical asset allocation, active manager selection, cost management and other critical areas of return generation. From this and the full range of the candidate’s credentials, hiring organizations can then define the candidates’ expertise. Pricing and fees. Boards should ask for a detailed schedule of the candidate’s costs and fees, including ancillary fees. Boards should be wary of broad ranges and prefer specifics tied to the amount of their organization’s investable assets. Insist on the separation of the candidate’s specific fees from any other underlying charges. Boards should drill down on the pricing metrics to learn whether fees are affected by asset allocation choices and, if so, exactly how. If proprietary products are being used, does this pricing differ? To get a complete picture of the fees that would come with a candidate’s administration, request detailed information on the pricing of any subadvisors they would be likely to use or have used in the past. Monitoring. Identifying conflicts of interest is paramount—before and after engagement. Before engaging an OCIO, boards should make a thorough effort to identify all potential conflicts, starting with a request to disclose all lines of business, partnerships and affiliations. Some boards assume that they can easily manage conflicts or adjust their judgments of OCIOs to protect against any negative effects, but they may overestimate the ease with which they can identify conflicts, considering the tendencies for incomplete or misleading disclosures by candidates. Fundamental conflicts that would interfere with an OCIO’s motivation to pursue the best possible returns should disqualify them, no matter what assurances or correcting mechanisms they propose. After engagement, the effort to identify, evaluate and monitor conflicts should continue, in keeping with the board’s fiduciary duties. Monitoring should also include setting and controlling benchmarks, and establishing objective reporting functions to measure performance against these benchmarks. Monitoring regarding adherence to benchmarks must begin with a comprehensive plan for setting ones that are appropriate for the organization’s goals and risk tolerance, and controlling them. Monitoring controls should also continuously evaluate compliance with asset allocations and investment policy statements. The pressure on boards, as fiduciaries, to responsibly exercise their legally required duty of care to choose wisely — in the best interests of their constituents — is tremendous. If they make the wrong choice, they can expose themselves and their constituents to poor overall management, short-term disruption if boards discover and correct their error in choosing the wrong service provider or, even more vexing, the effects of not discovering that error: long-term underperformance that carries the sting of unfulfilled potential for those whose wealth is being managed or who are the institution’s ultimate beneficiaries. Evaluate and determine the benefits of outsourcing investment operations as they relate to their individual circumstances. Perform a cost-benefit analysis based on contingencies of realistic potential for improved net returns. Serve as the client’s guide to the universe of service providers, selecting the most appropriate candidates to recommend. Prepare institutions for an OCIO by helping investment committee members determine the investment structure that best meets the organization’s needs, the underlying strategy to achieve objectives, and policies to ensure that a disciplined process is implemented and maintained. Support clients in managing OCIO relationships via monitoring, benchmarking and reporting to improve and sustain portfolio performance and keep OCIOs accountable. Boards must keep in mind that more and more consulting firms, motivated by the rising stream of revenue from OCIO services, are converting from non-discretionary (non-investing) to discretionary (investing) services. This presents a dilemma. Truly objective, independent consultants in this field draw the line at actually providing investment management services. Rather, they serve as a check on those who do. When evaluating such consultants, boards should ask: If these firms are essentially now asset managers themselves, just what is their actual consulting role (if any)? How can their advice be relied upon? Who will oversee their performance? How can they be held accountable? A skilled, knowledgeable consultant who is truly objective can pilot institutions safely through the tricky waters of this nascent specialty, providing board education as needed and helping them position for solid ROI relative to appropriate risk levels. To the extent that such consultants have the knowledge necessary to successfully negotiate appropriate fees with OCIO candidates, their services can be paid for by this negotiating advantage alone; the amount of the discount on OCIO services obtained can often be greater than the consultant’s fees. Consultants, who must have a broad and deep understanding of the industry to serve clients properly, should start by evaluating clients’ portfolios and investment management operations, determining the benefits of outsourcing as they relate to their particular circumstances, and providing insights into the different OCIO service models. In cases where OCIOs are already in place, asset owners need to assess the effectiveness of these existing structures. Some institutions use multiple OCIOs, a practice that is not generally recommended unless they are handling disparate assets divided up for different specialties. In such cases, of course, there is no actual chief of investment operations, so a consultant should monitor the group holistically. In cases where there is substantial overlap between the types of assets being managed by different players, consolidation under a single OCIO may be in order. Another key role for consultants is the managing and execution of the process of issuing and evaluating requests for proposals. To identify OCIO candidates for clients, consultants should develop, introduce and manage a blind and hence truly objective RFP process to identify high-conviction managers — those for whom the consultant objectively develops a high conviction regarding performance and fit regarding the client. Too frequently, board-led RFPs are produced with a candidate in mind, thus negating the board’s fiduciary responsibility to identify the optimal candidate(s) among the field. This process includes development and refinement of an RFP recipient list, a step that can be assisted by a consultant who maintains an up-to-date comprehensive database of service providers, applying across-the-board gauges for responses that use comparable measures for responses to enable precise apples-to-apples comparisons and quantification of the expected value-add of each candidate. By developing a relationship with the right consultant — one that endures from incremental success in reaching objectives and consistent rendering of superior service — institutions can assure the sustainability of an effective OCIO program that begins with thorough vetting of service providers followed by ongoing monitoring of their execution and crystal-clear, analytically-driven reporting to the client organization. Institutions will then be positioned to derive the benefits of outsourcing this critical role, growing assets and benefitting constituents for the long run with processes that reduce portfolio risk rather than increase it. 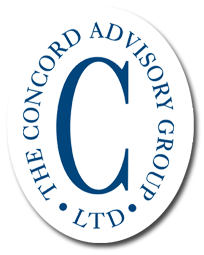 About The Concord Advisory Group, Ltd.
Concord has focused exclusively on delivering institutional investment advisory services since its founding in 1988. The firm’s 103 clients include health care organizations, endowments and foundations, religious organizations and insurance and corporate entities. (About 90% of the firm’s clients are nonprofits or are affiliated with a nonprofit.) Concord’s single source of revenue is client fees. Thus, the firm receives compensation only to steadfastly focus on its clients’ needs, with no distractions or conflicts of any kind. As a result, at Concord the client always comes first as the firm pursues client goals with absolute transparency and integrity every step of the way. Concord does not act as an OCIO. Rather, the firm has been serving institutions by providing OCIO oversight and consulting services for the last 10 years — well ahead of the current trend toward CIO outsourcing. This work has involved identifying the universe of appropriate OCIO candidates, researching and recommending candidate service providers, managing the RFP process, helping clients set asset allocations and investment policy, guiding clients through the transition to the outsourcing model and perennially overseeing their OCIO programs by monitoring and reporting to clients on results and recommending any necessary adjustments on an ongoing basis. As with all of its consulting services, Concord’s OCIO consulting work centers on process-driven guidance (proactive rather than reactive) regarding governance, strategy and execution, with vigilance for cost control and unrelenting attention to risk management.